In 2016, a University of Phoenix study revealed that two out of three U.S. adults were aware that their social media accounts had been hacked. Furthermore, a majority of adults limit what personal information they share. But the hackers keep on coming. While it’s great to see that the importance of online security and privacy is getting through, hackers will not be perturbed. Their entire game plan relies on finding gaps in the armor, and exploiting them for their own gain. We’ve got to stay one step ahead at all times. It’s never too late to start taking control of your social network security. 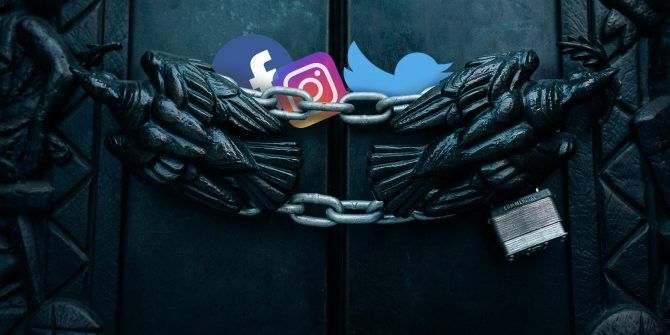 Why Secure Your Social Media Accounts? You know that the hackers are out there. They can do so much damage with your social media account. Just one reused password (leaked from various dumped databases), or a phishing email that you accidentally click on, and you’re snared, whether you know it or not. Even with this awareness, a third of social media users are unaware of being hacked. And being aware of the problems isn’t the same as blocking them completely. One slip of the mind, a busy day at work, a family bereavement… it’s all a matter of timing. So, it’s time to take this seriously. Let’s get your social media accounts secure for the New Year. Fine. Just re-friend the account once you’re certain! Over the years, additional privacy and security features have been added. But before we take a look at how to tighten things up, just remember: Facebook might be free, but they’re making money out of you. 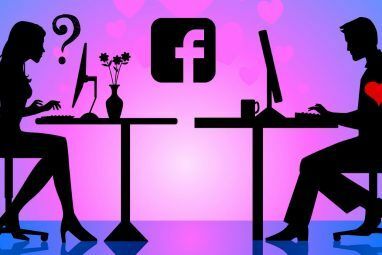 Bearing in mind just how much they know about you Facebook Privacy: 25 Things The Social Network Knows About You Facebook Privacy: 25 Things The Social Network Knows About You Facebook knows a surprising amount about us – information we willingly volunteer. From that information you can be slotted into a demographic, your "likes" recorded and relationships monitored. Here are 25 things Facebook knows about... Read More , you might be less inclined to embrace Facebook as wholeheartedly in future. Login to Facebook, open the menu, and you’ll find two key items: Security and Login and Privacy. Using these (and a couple of other options) you’ll be able to gain complete control of your Facebook account privacy. Our complete Facebook privacy guide The Complete Facebook Privacy Guide The Complete Facebook Privacy Guide Privacy on Facebook is a complex beast. Many important settings are hidden out of sight. Here's a complete look at every Facebook privacy setting you need to know about. Read More will show you exactly what you need to do. Once you’ve done that, it’s a very good idea to setup a physical security key How to Secure Your Facebook Login With a Security Key to Avoid Scams and Hacks How to Secure Your Facebook Login With a Security Key to Avoid Scams and Hacks There's a new scam going around that could steal your Facebook account if you aren't careful. Mobile users are at greater risk. Here's what you need to know. Read More to control access to your Facebook account. This ensures protection against login-based scams and hacks. Finally, if you ever suspect your Facebook account has been hacked, it is vital that you do these four things immediately 4 Things to Do Immediately When Your Facebook Account Is Hacked 4 Things to Do Immediately When Your Facebook Account Is Hacked Having your Facebook account hacked is a nightmare. Here's how to secure a hacked Facebook account and contain the damage. Read More . If anything you’ve read so far has led you to wonder whether you really want a Facebook account, you might want to know how to delete it How to Deactivate (or Delete) Your Facebook Account How to Deactivate (or Delete) Your Facebook Account If you need a break from Facebook, or if you want to stop using it altogether, here's how you can either deactivate or delete your account. Read More . This doesn’t mean that the risk of being hacked or scammed is any less real, however. You need to take the practice of securing your Twitter account What You Need to Know About Securing Your Twitter Account What You Need to Know About Securing Your Twitter Account Twitter accounts are juicy targets for scammers and malware distributors. Once someone compromises your Twitter account, they can send out tweets with links to scams and malware, bombarding your followers with their junk. Strengthen your... Read More seriously. Don’t just robotically do it — understand why you need to and what each step of the process means. A key part of this is controlling the apps that you give access to. It only takes one bad app, or one dodgy developer, to be able to subvert access to your Twitter account. Solve this problem by disabling apps that you no longer use How to Disable Apps That Put Your Twitter Account at Risk How to Disable Apps That Put Your Twitter Account at Risk If you use your Twitter account to log into third-party sites, you may be putting your social media profile at risk! Here's what to do about it. Read More . Many services utilize a Twitter login to save time, and these should also be carefully administered Using Social Login? Take These Steps to Secure Your Accounts Using Social Login? 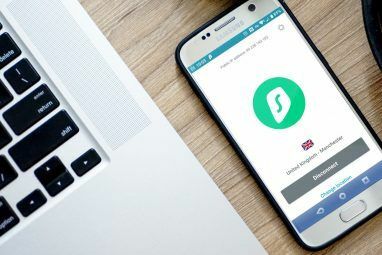 Take These Steps to Secure Your Accounts If you're using a social login service (such as Google or Facebook) then you might think everything is secure. Not so -- it's time to take a look at the weaknesses of social logins. Read More . Meanwhile, if you really like how Twitter works but aren’t keen on the risks, why not launch your own Twitter-like social network? This is possible thanks to Mastodon Mastodon: What You Need to Know About the New Social Network Mastodon: What You Need to Know About the New Social Network Mastodon is out to unseat Twitter as the best microblogging social network out there -- but will it succeed? Here's everything you need to know about the newcomer. Read More , and our tutorial will show you how to set it up Your Own Social Network: How to Set Up a Mastodon Instance on Linux Your Own Social Network: How to Set Up a Mastodon Instance on Linux Twitter's echo chamber is stifling discussion. If you want to get people talking, you can create your own social network with Mastodon. All you need is a web domain and server to get started... Read More . As of April 2017, Instagram boasted an impressive 700 million users. Although some accounts are spam bots, most are controlled by people (or in the case of celebrity Instagram accounts The 10 Most Followed People on Instagram: Should You Follow Them Too? The 10 Most Followed People on Instagram: Should You Follow Them Too? This is not our top 10 of Instagram. It's actually the top 10 accounts based entirely on the number of followers each one of them has. Do they merit the hype? Should you follow them... Read More , PR teams). Photo sharing can be a risk, however. There is information that can be gleaned from photos alone, such as where you are, where you’ve been, who you’re with. All things you may prefer undesirables are not privy to. 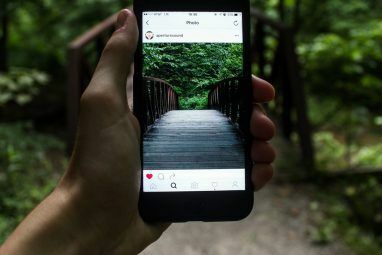 People have fallen for Instagram scams Stay Secure: 3 Instagram Hoaxes Too Many People Fell For Stay Secure: 3 Instagram Hoaxes Too Many People Fell For Take a good look at these Instagram hoaxes and make sure you don't fall for the next one! Read More in the past and it’s likely they will in future. It even happens to tech-savvy users I'm Being Used by Scammers to Steal Instagram Accounts I'm Being Used by Scammers to Steal Instagram Accounts Someone is pretending to be me online, using my name, an article I wrote, and a fake email address to hack Instagram accounts. Here's what you can learn from it. Read More . Open the Options menu to find the Change Password option, and select a password that is secure Use This Simple Trick to Create Secure, Memorable Passwords Use This Simple Trick to Create Secure, Memorable Passwords It's hard to come up with passwords that are secure yet memorable -- but here's an incredibly easy trick that you can use that actually works. Read More . For more privacy, meanwhile, you can flick the Private Account switch. While existing followers will remain, no new people can see your photos unless you give approval. If your children are using Instagram, this is a setting you should insist on them enabling. Comments can also be disabled, and automatic and manual filters enabled to limit the sort of language used by commenters. Once secure, you’ll feel more comfortable making your Instagram movies unforgettable 8 Ways to Create Unforgettable Instagram Videos 8 Ways to Create Unforgettable Instagram Videos Creating an Instagram video is easy. Making it unforgettable, however, is a lot tougher. Fortunately there are various tips and tricks that you can use to help you create a video to make an impression. Read More ! Don’t Just Go Private, Stay Private! Everything you’ve read so far should give you everything you need to make your social media accounts more private. But you can go one step further and set up two-factor authentication How to Set Up Two-Factor Authentication on All Your Social Accounts How to Set Up Two-Factor Authentication on All Your Social Accounts Let's see which social media platforms support two-factor authentification and how you can enable it. Read More for all of these accounts, and more. This will introduce a new level of authentication into every sign-in you make. Although two-factor authentication (2FA) isn’t fool-proof 3 Risks and Downsides to Two-Factor Authentication 3 Risks and Downsides to Two-Factor Authentication Two-factor authentication use has exploded over the last decade. But it isn't perfect, and can come back to haunt you if you aren't careful. Here are a few overlooked downsides. Read More , it’s currently the best option you have for securing accounts. Finally, if you want to flip this on its head, take a look at our guide on how to get hacked on social media What Not to Do to Get Hacked on Facebook, Instagram, or Snapchat What Not to Do to Get Hacked on Facebook, Instagram, or Snapchat Want to get your social media accounts hacked? Here are seven foolproof ways to make it easy for attackers to break into your accounts and take over. Read More . Have you been hacked on a social network? What happened, and how did you regain control of your account? Tell us below! Explore more about: Facebook, Instagram, Online Privacy, Twitter. Isn't the phrase 'Secure social media account' an oxymoron? As well as a physical impossibility?